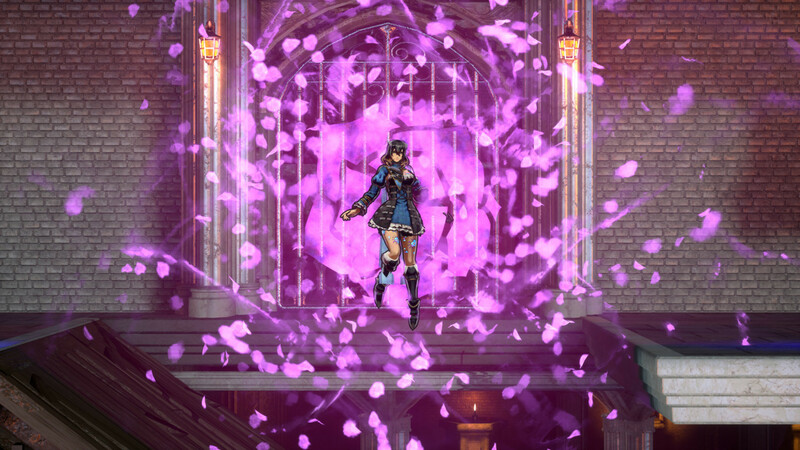 If you know me, it’s no surprise I’m a fan of Bloodstained. Not only did I back the game, I did so at a pretty high tier, and all for one reason: I love Iga’s work, most especially the genre he helped pioneer, the Metroidvania. Symphony of the Night changed how I played games and made me a hopeless addict of the genre. So I was a little ecstatic I got the opportunity to demo it on my first day of E3. First off, I should note that I did play the demo level that had been previously released, the ship in a stormy sea. I did so to familiarize myself with the gameplay and overall plot. If I had been allocated more time, I would have also demoed the quest mechanic. While I was initially disappointed to realize that those horns on Miriam’s head are solely decorative, the sheer amount of customization in the game is staggering. 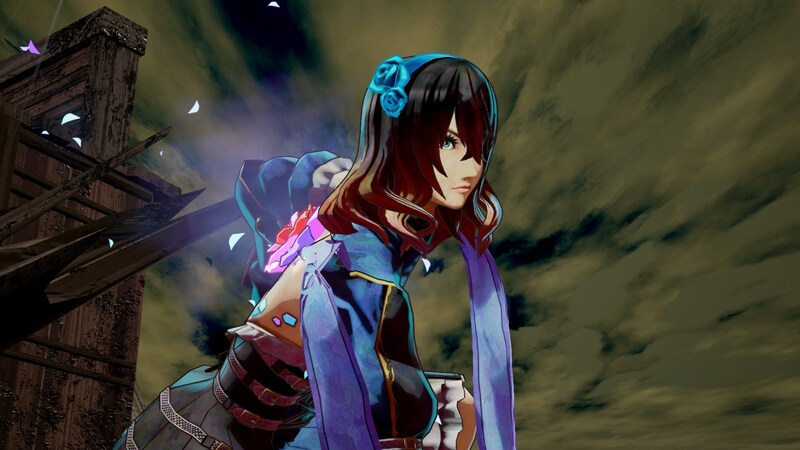 Better yet, what you have equipped changes how Miriam looks, both in battle and in dialogue. In this short demo, there was a huge amount of weapons that could be found and wielded, ranging from daggers to rapiers to spears and whips and much more. Not only is that range fun to play with, but they each offer distinct playstyles that keep the game fresh. I also was a fan of how Shards work. I hate to make the comparison, but this mechanic was very familiar to one from Order of Ecclesia, but without as much frustration and pointless farming. Also, the visceral shock to Miriam’s system every time she absorbs a new power was awe-inspiring. 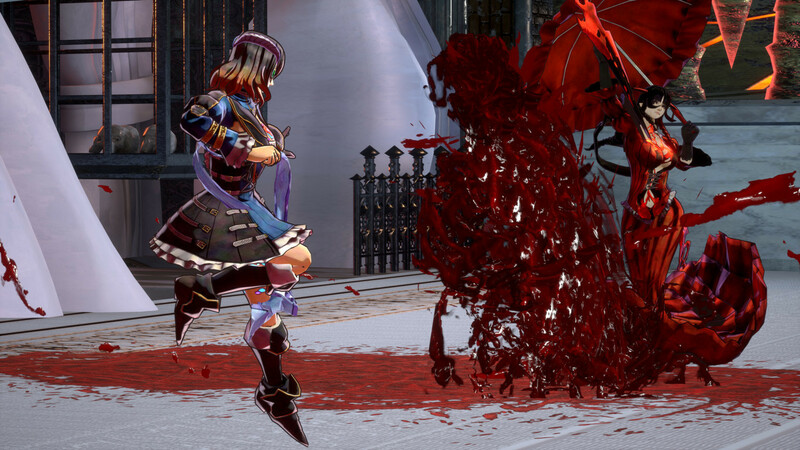 Aesthetically, Bloodstained is utterly beautiful. Initially I had my misgivings when the developers were asking us fans to pick what looked best, but it turned out very well. The art is lush, dark and brooding, which fits this world very well. 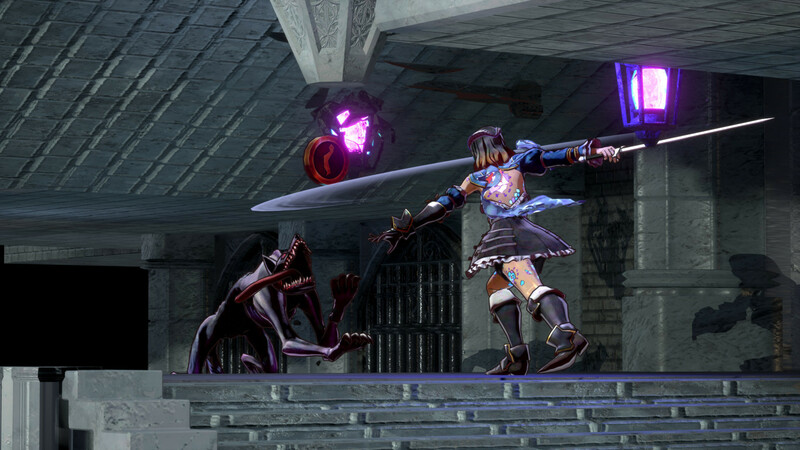 Likewise the music is utterly fantastic, reminding me of the best of Castlevania, while having its own flair. Even though I only played the one level, that ship level was massive and challenging, with a boss that was equal parts terrifying and powerful. It required good use of my back dash and some healing items to get through in one piece. I also thought it was interesting that they used 3D models to actually speak the conversations in the game, and the facial expressions and mouths changed depending on what language you had selected. The mannerisms for English were a bit comically exaggerated for Miriam, yet looked less jarring in Japanese. That said, the English voice actors were really fantastic in their delivery. And as a fan of Metroidvanias the minimap display in the upper right corner was a brilliant touch, making exploration even more seamless. But no game is great without a wonderful bestiary, and even in this one level the enemy variety was quite good. Given the setting, there were plenty of different squid-like foes as well as winged threats, hideous slimy masses, infested cannons and even a Dullahan encased in urchin armor. 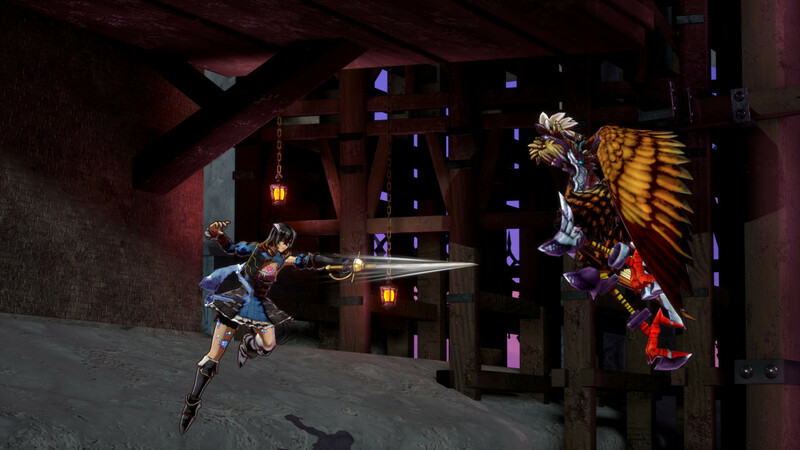 As a fan of Bloodstained, now I’m even more hyped for the final release. To help get even more excited, be sure to read Quentin’s upcoming interview with Iga himself!